If you are planning a trip to Sedona, you don’t want to pass up a trip to see the pristine Verde Canyon wilderness. The canyon is only accessible by rail, so the best way to explore the canyon is to take a tour on the Verde Canyon Railroad. 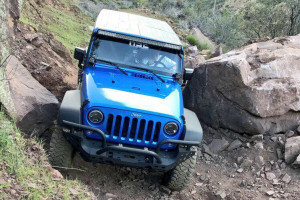 Enjoy a leisurely adventure through Verde Canyon -- on the railroad! From old mining town to ghost ranch, enjoy the sights at 12 MPH. What can I see/do on the Verde Canyon Railroad? The scenic ride takes you from the town of Clarkdale, through the majestic Verde Canyon, to Perkinsville, and back. On this beautiful and relaxing journey you will learn about the geology, history, wildlife, and native culture of Verde Canyon. You will see native ruins and if you are lucky, you may even spot a bald eagle, as the canyon is their home. As the sun sets watch for wildlife and spectacular sunsets. Available select Saturdays throughout the summer. 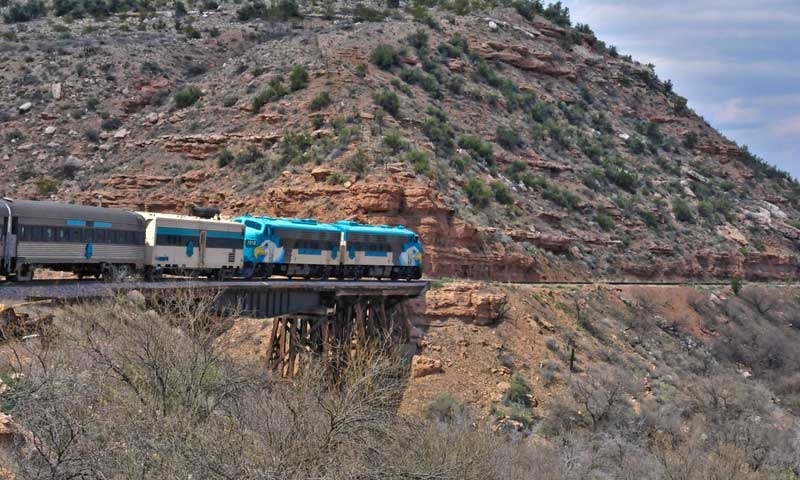 Sit back, relax, and enjoy a wine-tasting adventure on the Verde Canyon Railroad. Held on select Saturday evenings from June-September. Similar to the Grape Train Escape, but substitute wine for tequila and Mexican appetizers! Held on select Saturday evenings from June-September. Indulge in an Independence Day themed barbeque before the train takes off at 1PM. A special day in September to commemorate the relationship between grandchildren and their grandparents at the Verde Canyon Railroad. Celebrate Oktoberfest at on the Verde Canyon Railroad. Taste from a selection of over 20 microbrews and Bavarian treats such as brats, pretzels, and strudel. Ales on the Rails takes place every Saturday and Sunday in October. Where is the Verde Canyon Railroad? The Verde Canyon Railroad Depot is located a 40 minute drive from Sedona at 300 North Broadway Clarkdale, Arizona 86324. From Sedona, drive southwest on the 89a toward Cottonwood. Turn Right on Mingus Avenue. Drive about 1.8 miles and turn right on Main Street through Cottonwood, past the turnoff for Tuzigoot National Monument, until you see the sign for Verde Canyon Railroad, turn right on Broadway, there is parking in the lot across from the depot. When is the Verde Canyon Railroad open? The railroad is open year round, but the weekly schedule varies each month. The train always departs at 1:00PM (except for special events and times) and is about 4 hours long. Visit the Verde Canyon Railroad’s website to view an updated schedule. How much does the Verde Canyon Railroad coast? *Visit website to see rates for special events.